On January 23rd, 2019, OSHA penalties increased by 2.5 percent to account for inflation, which compounds steep increases to OSHA penalties made in 2016. OSHA penalties are costly construction expenses that employers would do well to avoid whenever possible. As such, it is vital that employers not only remain diligent with its safety programs, but also stay up-to-date on the latest changes to OSHA regulations and penalties and have a strategy in place for OSHA inspections. This is particularly true with drone inspections, which can lead to potential privacy concerns. Here, construction lawyer Tracy L. Steedman discusses the legal implications of an OSHA drone inspection and how employers can plan for these and traditional OSHA inspections. Early in 2018, OSHA released a memorandum to its staff formalizing its use of drones for worksite inspections. Each of the agency’s 10 regions are now required to have a staff member oversee drone operations and reports drafted by drone teams. Nine inspections were conducted with drones in the past year, typically in instances where the site was deemed too hazardous for human entry, such as after a building collapse or explosion. The OSHA memorandum also specifies the parameters under which OSHA employees must act when conducting a drone inspection. Be aware that OSHA must request the worksite manager’s permission before conducting a drone inspection. An employer is under no obligation to allow OSHA permission to inspect their site using drones. When it comes to multi-employer worksites, it is uncertain whether the granting of permission by one employer affects the rights and ability of another employer to deny OSHA access. OSHA is also attempting to obtain a Blanket Public Certificate of Waiver or Authorization (COA) from the Federal Aviation Administration (FAA) so they may operate drones at worksites nationwide. This leaves uncertainty as to whether this will change OSHA’s by-permission drone policy. Additionally, drone footage can also capture a larger view of a worksite, which may expand the ability of OSHA to identify hazards “in plain sight.” Drone footage may also have the potential to capture trade secrets on camera, potentially putting the employer’s business strategies in jeopardy. As such, it is vital to speak to a construction lawyer prior to allowing OSHA to use drones for worksite inspections. Whether OSHA requests to conduct a standard inspection or drone inspection, it is important to have a strategy in place to handle such inspections. Worksite employers have the right to request an inspection warrant prior to an OSHA inspection. Additionally, employers should speak with OSHA inspectors to ensure the inspection is limited in scope. Worksite supervisors are also encouraged to walk through the inspection with the OSHA inspector, taking the same measurements and recording the same data as the inspector. This helps to ensure that the employer has their own personal record of the inspection. Unfortunately, drone footage can be difficult or impossible for employers to replicate, so it is important for employers to decide carefully before allowing a drone inspection to be conducted. 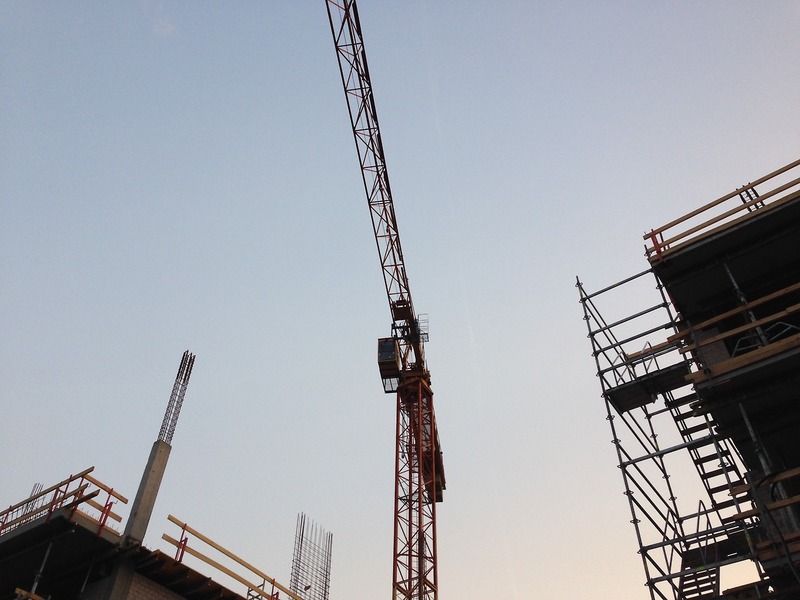 While jobsite accidents comprise a large portion of OSHA inspection requests, these requests may also be made by a disgruntled or terminated employee, and as such, employers receive an inspection request when they least expect it. As an employer, you have certain rights when OSHA appears at your jobsite. Always consult a construction lawyer before engaging with OSHA, such as Tracy L. Steedman of Adelberg Rudow. Tracy has 15+ years of experience in the construction industry and is well versed in OSHA regulations and laws. To learn more about your rights during an OSHA investigation or to challenge an OSHA fine or penalty, contact Baltimore construction lawyer Tracy L. Steedman of Adelberg Rudow today.